Thank you for applying for a credit account with Metcash Trading Limited. Where we refer to the ‘Privacy Act’ in this Policy we mean, if you are located in Australia, the Privacy Act 1988 (Cth) and if you are located in New Zealand, the Privacy Act 1993 (NZ). The types of personal information collected and held by Metcash will vary depending on your dealings with us. We will also collect your date of birth and driver’s licence number where required (for example, to comply with age restrictions or in order to verify your identity when applying for credit terms, etc). Metcash will not collect sensitive information from you or any third party. You do not have to provide us with any personal information, however if you do not do so we may not be able to complete a transaction you have entered into, finalise payment of a product or service you have ordered, make delivery of a product you have ordered, grant credit terms, validate your entry in a promotion, or otherwise provide you with the products, services or benefits you have requested. when you have other dealings with us. third parties who supply services to Metcash. to keep you informed of new developments we believe may be of interest to you. You may opt-out of receiving this direct marketing from Metcash or third parties through the unsubscribe function that will be made available to you with each direct marketing communication. Metcash stores personal information in a combination of computer storage facilities, paper-based files and other records. In so doing, we have taken numerous steps to protect your personal information from misuse, interference and loss, and unauthorised access, modification or disclosure. Additionally Metcash takes reasonable steps to destroy or permanently de-identify personal information when we no longer need it. The internet is not a secure method of transmitting information. Accordingly, other than where Metcash uses secure socket layer technology (SSL) to ensure information (such as credit card information) is securely transmitted and processed, Metcash cannot and does not accept responsibility for the security of information you send to or receive from us over the internet, or for any unauthorised access or use of that information. DOES METCASH SEND PERSONAL INFORMATION OVERSEAS? Metcash is likely to disclose some of your personal information, for the purposes described above, to organisations in other countries, including the United States of America. Metcash will take reasonable steps to make sure that the personal information we collect, use or disclose is accurate, complete and up to date. If your personal details change, such as your address or phone number, please contact our Privacy Officer by email or at the address detailed below. At your request, Metcash will provide you with a copy of any personal information which we hold about you, unless an exception under the Privacy Act applies. We may charge a fee for retrieving this information, in which case we will inform you of the fee and obtain your agreement to that fee before providing the information. Information is also generated whenever a page is accessed on a Metcash website that records information such as the time, date and specific page. We collect such information for statistical and maintenance purposes that enables us to continually evaluate our website performance. Metcash will take reasonable steps to remedy any issues resulting from our failure to comply with our privacy obligations. Metcash may update this CRDM Policy from time to time. The most current version will be located on the Metcash website at http://www.metcash.com/footer/privacy-policy and is also available by contacting our National Credit Manager by email or at the address detailed below. The Privacy Act permits Metcash to collect and hold certain types of information. • Identifying details such as your name, birth date, drivers licence number, address(es), telephone number(s) and other contact details. • The type of credit offered and the terms of such credit (including when it was entered into, repayment, maximum amount of credit available and when it ceases). • Any applicable repayment history. • The type and amount of credit sought in an application to Metcash (or that you have offered to act as guarantor(s) in respect of the Trading Account arrangement). • Payments of $150 or more which become more than 60 days overdue. • Advice that payments are no longer overdue. • Whether credit terms or conditions have been varied, or new credit provided. • Personal information (other than sensitive information) that has a credit-worthiness bearing and that we have used or may use in establishing credit eligibility. • That in the opinion of Metcash you have committed a serious credit infringement in relation to consumer credit provided to you. • That the credit provided to you by Metcash has been discharged. • Any court judgment that relates to any credit that has been provided to, or applied for by, you. • Any personal insolvency information about you (as defined in the Privacy Act). • Publicly available information about you that relates to your activities in the country in which you reside and your creditworthiness. The Privacy Act uses a variety of terms to refer to such information, however in this CRDM Policy we refer to it collectively as Credit Information. • Assess an application for credit (by you, an entity associated by you, or as a guarantor). • Derive scores, ratings, summaries and evaluations relating to your credit worthiness. • Manage credit we may provide (including in relation to specific offers). • Participate in the credit reporting system and provide information to credit reporting bodies/credit reference agencies as permitted by the Privacy Act and the CR Code. • Assist you to avoid defaulting on your credit-related obligations. • A guarantor or someone you have indicated is a prospective guarantor. • Collect overdue payments, undertake enforcement activities and deal with serious credit infringements (including in relation to guarantors). • Exchanging information with credit providers which is permitted under the Privacy Act, including default information. • Manage our relationship with you and our internal processes and procedures. • Assess whether to insure, or assess a risk of default, including in relation to trade insurers. • Meet legal and regulatory requirements. (Some Credit Information may be used or disclosed under the Privacy Act for some of these purposes, or in specific circumstances only). • credit reporting information about you from Veda, Creditor Watch, CreditWorks and Dun & Bradstreet (our Credit Reporting Bodies/Credit Reference Agencies). • information about your commercial creditworthiness from businesses which provides information about commercial creditworthiness. • Identifying details such as your name, birth date, drivers licence number, address(es), telephone number(s) from information that you provide to us (including your completed Application for Trading Account) or that is provided by third parties acting on your behalf. In relation to an application by your business for commercial credit, Metcash may ask a trade insurer to obtain credit reporting information about you for the purposes of assessing whether to insure or the risk of insuring Metcash or assessing the risk of default by your business and/or you in your capacity as Guarantor on the commercial Credit Application. Credit Information obtained by Metcash may be used for credit related purposes and to notify Metcash’s successor and assigns, financiers and/or any assignees or any lender to an assignee of Metcash’s interests in any amount(s) payable arising under the Trading Terms between you or your business and Metcash from time to time. Metcash stores personal credit information and credit eligibility information in a combination of computer storage facilities, paper-based files and other records. In so doing, we have taken numerous steps to protect your personal information from misuse, interference and loss, and unauthorised access, modification or disclosure. Additionally Metcash takes reasonable steps to destroy or permanently de-identify personal information when we no longer need it and in accordance with the Privacy Act. The internet is not a secure method of transmitting information. Accordingly, other than where Metcash uses secure socket layer technology (SSL) to ensure information (such as credit card information) is securely transmitted and processed, Metcash cannot and does not accept responsibility for the security of information you send to or receive from us over the internet, or for any unauthorised access or use of that information. Metcash will take reasonable steps to make sure that the Credit Information we collect, use or disclose is accurate, complete and up to date. If your personal details change, such as your address or phone number, please contact our National Credit Manager by email or at the address detailed below. At your request to the National Credit Manager, Metcash will provide you with a copy of any Credit Information which we hold about you, unless an exception under the Privacy Act applies. We may charge a fee for retrieving this information, in which case we will inform you of the fee and obtain your agreement to that fee before providing the information. • Upon request, provide access to credit eligibility information within a reasonable timeframe. o you are a Customer in New Zealand, Metcash will provide you with the contact details for the Office of the Privacy Commissioner (OPC) to enable you to escalate your request. If you have accessed your Credit Information from Metcash or our Credit Reporting Bodies/Credit Reference Agencies and believe that it is not accurate, up to date, complete, irrelevant, or misleading, then you can request our National Credit Manager or Credit Reporting Bodies/Credit Reference Agencies to correct it. Metcash will comply with the Privacy Act in relation to any request for the correction of your Credit Information. In the course of the investigation process, we may consult with and disclose information to our Credit Reporting Bodies/Credit Reference Agencies and/or other Credit Providers. If our investigations reveal that your Credit Information does not require correction then we will advise you of this in writing and provide you with the contact details for the appropriate organisations to enable you to escalate your request. Metcash may refuse an Application for a Trading Account based wholly or partly on your Credit Information. Metcash will comply with the Privacy Act in relation to any refusal for an Application for a Trading Account. If you believe that Metcash or our Credit Reporting Bodies/Credit Reference Agencies has breached the CR Code or the Privacy Act or not taken reasonable steps to destroy Credit Information which is no longer relevant or required then you may complain using the contact details listed at the bottom of this document. Metcash is committed to ensuring that we promptly acknowledge and investigate any complaint about the way we manage your credit Information. 1.1 The terms of this Agreement apply in every case where Metcash provides goods or services of any kind (“Goods”) to the customer (as referred to in the Application for Trading Account or if there is no application, the customer placing the order, or on whose behalf the order is placed) (“Customer”) on the Customer’s trading account (“Trading Account”), unless otherwise agreed in writing between Metcash and the Customer. Acceptance of Goods by the Customer is conclusive evidence before any court that this Agreement (and any variation) applies and is binding on it and the guarantors (as referred to in the Application for Trading Account) (“Guarantors”). 1.2 In the event of, and to the extent of, any inconsistency between this Agreement and the terms of any purchase order for the provision of Goods, this Agreement prevails. 1.3 This Agreement comprises the Application for Trading Account, the Acknowledgement and Authority pursuant to the Privacy Act 1988 and these Trading Terms, as amended from time to time. (e) terminate the Trading Account by notice in writing to the Customer accompanied by a Statement showing the final balance of the Trading Account (“Final Statement”). 2.2 Metcash’s agreement to open the Trading Account does not entitle the Customer, at any time, to credit or any particular amount of credit. 3.1 The Customer must, without demand from Metcash, pay the whole amount of any debit balance shown on a Statement (“Amount(s) Payable”) on or before the due date shown on the Statement (which unless otherwise stated is seven (7) days from the date of the Statement) (“Due Date”); where Statement a “Final Statement”, on or before the due date shown on the Final Statement (“Final Due Date”). This clause does not affect the obligation of the Customer to pay the entire Amount Payable prior to a Due Date or the Final Due Date where required under any other provision of the Agreement. (b) Metcash does not limit its right to vary the number of days between the date of a Statement and the Due Date from one Statement to another. (d) all amounts owing in accordance with clause 10.1(if applicable). 4.4 set, change, vary or discontinue any credit card access or facilities as described in clause 2.1(b). 5.1 Metcash may appropriate any moneys paid to it by the Customer in such manner and at such times as Metcash, in its absolute discretion, determines. 5.2 The amount stated in a certificate signed by Metcash’s duly authorised representative or solicitor as being due and payable by the Customer to Metcash under this Agreement is prima facie evidence that such amount is owing. 5.3 Amounts payable by the Customer under this Agreement must be paid without deduction, retention or set-off of any kind and for any reason. 5.5 (inclusive) occurs, Metcash may, at its discretion, apply a credit balance in any of the Customer’s Trading Accounts towards satisfaction of a debit balance in any of the Customer’s other Trading Accounts. 5.6 Payment by cheque or other negotiable instrument is not deemed to be payment of any moneys payable until the cheque or other negotiable instrument is met on first presentation for payment. 6.1 Title to all Goods purchased by the Customer whilst the Trading Account has a debit balance (“Bailed Goods”) remains with Metcash. 6.2 The Customer must hold all Bailed Goods in the possession of the Customer as fiduciary and bailee for Metcash. (b) the occurrence of an event listed in clauses 16.1(a) – 16.1(i) (inclusive). 6.4 The Customer grants to Metcash (under clause 6.1) a purchase money security interest, as defined in the Personal Property Securities Act 2009 (“PPSA”) in the Bailed Goods and any proceeds of sale of the Bailed Goods (“PMSI”) to secure the purchase price of the Bailed Goods. 6.5 The costs of registering a financing statement will be paid by the Customer and may be debited against the Customer’s Trading Account. 6.6 The Customer agrees not to do or permit anything to be done that may result in the PMSI granted to Metcash ranking in priority behind any other security interest (as defined in the PPSA). 6.7 The Customer will take such further steps (including obtaining consents, supplying information, signing forms or executing documents) which may be required by Metcash to take further or better security under the PPSA in respect of the Bailed Goods and proceeds of sale of the Bailed Goods or to maintain the effectiveness or priority of any security interest under the PPSA. 7.1 All Goods purchased by the Customer are at the risk of the Customer from the time the Goods are delivered to the Customer or its nominated agent. Delivery is deemed to occur when the Goods are delivered to the carrier, whether Metcash arranges, procures or effects the transport of the Goods at the request of the Customer or otherwise. The Customer must insure the Goods (with Metcash’s interest noted on the policy) from the date of delivery until title passes to the Customer or the Goods are sold in accordance with clause 6. 7.2 The Customer must inspect all Goods delivered to the Customer or its nominated agent within 24 hours (or such other time period for perishable, dry, security or other Goods as notified by Metcash from time to time) of delivery to the relevant Premises (“Inspection Period”) in order to ensure that Goods delivered are as ordered by the Customer and are not delivered in a damaged state. The Customer must notify Metcash within the Inspection Period if Goods are found to be other than as ordered by the Customer or have been delivered in a damaged state. 7.3 Subject to clause 9.1(e), if the Customer has not notified Metcash within the Inspection Period that Goods delivered were not as ordered by the Customer, or that Goods were delivered in a damaged state, then the Goods will be deemed to have been delivered in good condition and as ordered by the Customer. 7.4 Goods supplied by Metcash are resold by the Customer in the same consequential order as the Goods have been supplied by Metcash. All Goods of the same type as the Bailed Goods will be deemed to have been supplied by Metcash unless the Customer proves to the contrary at the time Metcash claims to be entitled to possession of such Goods. 7.5 The Customer must sell the Goods in the original packaging supplied by Metcash. The Customer must not alter or interfere in any way with the Goods or remove any labelling or instructions provided with the Goods. 7.6 The Customer must not make any representation or give any warranty in relation to the Goods not expressly authorised by Metcash in writing. 7.7 To the extent permitted by law, if the Customer is in breach of this Agreement, Metcash may (without prejudice to any other rights) repossess the Bailed Goods and the Customer licences Metcash and its employees and agents to enter its premises at any time without notice for such purpose, with all related costs of Metcash to be paid by the Customer on demand. 7.8 The Customer indemnifies Metcash and each of Metcash’s officers, employees and agents in respect of all loss, damages and expenses relating to, or arising out of a breach of clause 7.5 or clause 7.6. (d) Monthly or bi-monthly promotional files. The data includes but is not limited to: Product codes; Global trade identification number (GTIN – previously referred to as APN); Descriptions; Size; Pack quantity; Cost price; Retail price; Promotional start and end dates; tax rates and numerous other flags. 8.2 Subject only to clause 8.3 Metcash has no liability for data provided by it to the Customer. 8.3 Where Metcash has charged an incorrect price for Goods, Metcash will correct the data as soon as it becomes aware of the error and will credit or debit (as applicable) to the Customer, the difference between the invoice price and the correct price. The Customer must, in addition to its other obligations under this Agreement, take steps to mitigate any loss it may suffer as a result of Metcash’s error. 8.4 The Customer bears responsibility for the normal retail price and promotional pricing generated by their POS system and the overall running of that system. The Customer warrants and represents that it is relying upon its own skill and judgment in relation to the actioning of the data in its retail store. 8.5 The Customer acknowledges and agrees that all trading information as between the Customer and Metcash belongs to Metcash at all times and that the Application for Trading Account and Trading Terms are confidential information and may not be disclosed to any third party without the prior written consent of Metcash. 8.6 Metcash agrees to take reasonable steps to prevent the disclosure of a Customer’s trading information to a competitor of the Customer. (e) do not comply with any consumer guarantee or implied warranty applicable to the supply of the Goods which cannot be excluded (including pursuant to the Competition and Consumer Act 2010 (“CCA”)). (f) in any case, reimburse to the Customer any cost incurred by the Customer in transporting the Goods to the Customer from Metcash. (e) in the case of Goods delivered in a damaged state or Goods delivered other than in accordance with the Customer’s order, Metcash was given notice in accordance with clause 7.2. (d) the Customer must not make any claim or demand, or take any action or other proceeding against Metcash, or any of Metcash’s officers, employees or agents, for any loss of profits, loss of revenue, loss of anticipated savings, loss or corruption of data, loss of contract or opportunity, loss of goodwill or any indirect, special or consequential loss of whatever nature including of any loss of a type described in this sub-clause, whether or not reasonably foreseeable, reasonably contemplatable or actually contemplated by the parties at the time of execution of this Agreement, arising out of, or in any way directly or indirectly relating to this Agreement including in relation to any of the matters referred to in clauses 9.1(a) – 9.1(e). (b) indemnifies Metcash and each of Metcash’s officers, employees and agents in respect of all loss, damages and expenses relating to, or arising out of, any claim. 9.6 To the extent permitted by law, Metcash’s total liability for any claim under or in relation to this Agreement is limited to the price paid by the Customer for the Goods or services the subject of the claim. (b) an additional amount representing an accounting administration fee and loss of use of moneys not exceeding 3.5% per month or part thereof on the Amount Payable overdue for the period between the Due Date or the Final Due Date until payment is made in full. The Customer acknowledges that this fee is a genuine pre-estimate by Metcash of the loss, costs and expenses of Metcash which shall be incurred by reason of the Customer’s default in payment of the Amount Payable and the recovery of same. 10.2 If the Customer breaches its obligations under this Agreement, the Customer shall immediately pay to Metcash on demand, all costs and expenses whatsoever incurred by Metcash in the enforcement or attempted enforcement of this Agreement including, but without limiting the generality of the foregoing costs and expenses including legal costs (on a full indemnity basis) freight costs, storage costs, electricity and telephone charges (except to the extent such costs and expenses directly result from Metcash’s breach of this Agreement) and the Customer authorises Metcash to debit any Trading Account with such costs and expenses. (c) agrees to mortgage all of its present and future interests in any real property to Metcash, as security for the performance of its obligations under this Agreement including payment of the Amount(s) Payable. 11.2 The Customer must, within 10 days of request from Metcash, execute such documents as Metcash requires to perfect the security interest, charge and mortgage. The Customer must pay on demand any stamp duty (including any fines and penalties) assessed in connection with the security interest, charge and mortgage. The costs of registering a financing statement will be paid by the Customer and may be debited against the Customer’s Trading Account. 11.3 The Customer acknowledges that Metcash, by virtue of the charge and mortgage, has a caveatable interest in any real property of the Customer which is or becomes subject to the charge and/or mortgage and may lodge a caveat over that property. (g) the address of any Guarantor. 12.2 The Customer indemnifies Metcash against any damage or loss incurred by it as a result of the Customer’s failure to provide notice in accordance with clause 12.1. 13.1 The Customer and each Guarantor irrevocably appoints Metcash and each of its authorised officers, jointly and severally, to be its attorney to do any act or thing which it is required to do under this Agreement. 13.2 Metcash may only exercise the power set out in clause 13.1 where the Customer or Guarantor (as applicable) is in breach of this Agreement and it may exercise its powers even if this involves a conflict of duty and even if it has a personal interest in doing so. 13.3 A third party may rely on a copy of this Agreement certified by a solicitor as evidence of the appointment of Metcash as the attorney of the Customer or Guarantor. 13.4 The Customer and each Guarantor must ratify all acts and things done by Metcash and its authorised officers in the exercise of the power of attorney granted in accordance with this clause. 14.1 The Customer warrants that the facts and representations contained in the Application for Trading Account are true and correct and the Customer is aware and acknowledges that Metcash has relied upon the correctness of such facts and representations in providing the Trading Account to the Customer. 14.2 The Customer covenants that all Goods will be purchased for the purpose of re-supply or in connection with a business carried on by the Customer or by the Customer and another person or persons and not for personal, domestic or household use. (f) the Customer acknowledges receipt of a copy of this Agreement. 15.1 The Guarantor irrevocably guarantees to Metcash due performance by the Customer of its obligations under this Agreement including payment of the Amount(s) Payable. 15.2 The Guarantor separately and independently indemnifies Metcash and will at all times keep Metcash indemnified from and against all losses and expenses which Metcash may suffer or incur in consequence of any breach or non-observance by the Customer or any Guarantor of any of the terms of this Agreement (including a failure to pay the Amounts Payable and all enforcement expenses and legal costs on a full indemnity basis) or any part of this Agreement being void or unenforceable. (c) agrees to mortgage all of its present and future interests in any real property to Metcash, as security for the performance of its obligations under this Agreement including its guarantee of the Customer’s obligation to pay the Amount(s) Payable. 15.4 The Guarantor must, within 10 days of request from Metcash, execute such documents as Metcash requires to perfect the security interest, charge and mortgage. The Guarantor must pay on demand any stamp duty (including any fines and penalties) assessed in connection with the security interest, charge and mortgage. The costs of registering a financing statement will be paid by the Customer and may be debited against the Customer’s Trading Account. 15.5 The Guarantor acknowledges that Metcash, by virtue of the charge and mortgage, has a caveatable interest in any real and leasehold property of the Guarantor which is or becomes subject to the charge and mortgage and may lodge a caveat over that property. (c) the guarantee given by the Guarantor may be for any reason unenforceable, either in whole or in part. 15.7 It is not necessary that Metcash provide notice to the Customer to rectify any breach of this Agreement prior to the Guarantor being required to fulfil its obligations under this clause 15. 15.8 A demand on the Guarantor is deemed to have been duly made if it is in writing and signed on behalf of Metcash by its authorised representative or solicitor and has been given to the Guarantor or left at or posted to the address of the Guarantor or Customer as shown in the Application for Trading Account or such last known address as notified to Metcash in writing by the Guarantor. 15.9 The terms of this clause 15 are not affected by any action taken or notice issued in relation to any other securities. Metcash is under no obligation to marshal in favour of the Guarantor any security whatsoever held by Metcash. (g) anything that Metcash may do or omit to do which, but for this provision, might otherwise affect the liability of the Guarantor. 15.11 As between the Guarantor and Metcash the Guarantor is to be deemed to be a primary debtor to Metcash independent of the Customer. 15.12 To the fullest extent permitted by law the Guarantor waives such of the Guarantor’s rights as surety or indemnifier (legal equitable statutory or otherwise) which may at any time be inconsistent with any of the provisions of this clause 15. 15.13 The covenants and agreements made or given by the Guarantor are not conditional in any way and remain binding notwithstanding that any other person has not executed or duly executed this Agreement. 15.14 The obligations of the Guarantor under this clause 15 continue in force until Metcash confirms in writing that it has been released. (b) Metcash is under no obligation to notify the Guarantor of any changes to this Agreement or any dealings with the Customer (and the Guarantor appoints the Customer as its agent for the receipt of notices in connection with this Agreement). 15.16 In the event of liquidation or bankruptcy of the Customer, the Guarantor will not prove in such liquidation or bankruptcy in competition with Metcash. (b) the Guarantor will immediately pay to Metcash the amount refunded by Metcash so that all amounts payable to Metcash under this Agreement have been paid. 15.18 If the obligation of the Guarantor in respect of any part of the debt is unenforceable, the Guarantor’s obligation in respect of the other part of the debt will not be affected by such unenforceability. 15.19 Metcash may apply any amounts received under this Guarantee towards satisfaction of any parts of the Amounts Payable or any other amounts under this Agreement in whatever manner it sees fit. (l) exercise any other right or remedy under this Agreement, the PPSA or applicable law including enforcing any security interest in connection with this Agreement and appointing any one or more persons as a receiver of any collateral (including fixing the receiver’s remuneration, removing a receiver, appointing an additional receiver and giving an indemnity). 16.2 Unless the terms of appointment restrict a receiver’s powers, the receiver may do anything the law allows an owner or a receiver of the collateral to do (including under sections 420(1) and (2) of the Corporations Act 2001). 16.3 The receiver is the agent of the grantor of the security interest and the grantor is responsible for the receiver’s acts and omissions. Metcash and any receiver are not liable for any loss which may arise because of any omission or delay in the exercise of any powers and any person who acquires the collateral need not check whether those parties had the right or authority to do so. 16.4 To the extent permitted by law the grantor agrees to dispense with any notice of or lapse of time before Metcash or a receiver may exercise any option, power or right following the occurrence of any default. If by law prior notice cannot be dispensed with or waived but the period of such notice can be agreed on, then period of that notice is the longer of one day or the minimum period that the law allows to be agreed. 16.5 Metcash may sell or otherwise dispose of any Bailed Goods recovered by Metcash pursuant to this Agreement in its absolute discretion and on its own account, without limitation to any other rights which Metcash may have. 16.6 The Customer indemnifies Metcash and every person acting on its behalf against any loss, damage, liability or expense incurred or sustained as a result of the reasonable exercise by Metcash of its rights under this clause 16. 16.7 Notwithstanding the other provisions of this clause 16 and without derogating from the rights of Metcash, Metcash may take any action it deems necessary, including legal proceedings, to recover as a liquidated debt an Amount Payable. 17.1 Time is to be of the essence so far as it relates to the Customer’s obligations to Metcash under this Agreement. 17.2 Metcash does not waive any breach by the Customer or the Guarantor of this Agreement unless the waiver is in writing signed by Metcash. No waiver is to be construed as a general waiver unless it is expressly stated to be a general waiver. 17.3 Should any provision of this Agreement be illegal, void or unenforceable, that provision will be ineffective and is to be severed from this Agreement to the extent only of that illegality, voidability or unenforceability. All remaining provisions are to be enforceable between Metcash, the Customer and the Guarantor. 17.4 This Agreement is enforceable against each of the Customer and Guarantor (if more than one person) jointly and each of them severally. 17.5 Metcash may at any time assign its rights and interests or novate its rights and obligations (in whole or in part) under this Agreement. The Customer must not assign any of its rights or obligations under this Agreement without Metcash’s prior consent in writing, which consent may be refused or given subject to such terms and conditions as Metcash may determine, at its absolute discretion. 17.6 This Agreement binds each person who signs as Customer or Guarantor even if another person who was intended to sign does not sign it or is not bound by it. 17.7 This Agreement binds the Customer and each Guarantor both personally and as trustee of any trusts for which it is trustee. If the Customer or a Guarantor is a trustee it warrants and undertakes that it is and will continue to be validly appointed as the sole trustee of the trust and is and will continue to be entitled to be fully indemnified out of the assets of the trust in respect of any amount owing to Metcash. 17.8 acceptance this may by establishing Trading or supplying Goods to the Customer. 17.9 Only a director or company secretary of Metcash has the authority to (a) vary this Agreement in any way or (b) accept orders or supply Goods under the Trading Account on terms other than this Agreement. This Agreement may be varied from time to time at the discretion of Metcash by giving seven (7) day’s notice to the and Customer Guarantors prospectively and to such variation. 17.10 This Agreement is governed by and the Customer and Guarantor submit to the laws of the State of New South Wales (or any other State or Territory nominated by Metcash). The courts of that State or Territory have non- exclusive jurisdiction in connection with this Agreement. 17.11 In this Agreement, words or terms incorporating the singular or the plural shall include the plural and singular respectively and words importing the masculine gender shall include the feminine and neuter genders. 17.12 In this Agreement, references to include and including are to be construed without limitation. 17.13 Notices in connection with this Agreement may be provided to the Customer and Guarantors by mail, facsimile or email to the Customer’s address provided on the Application for Trading Account, or any other address provided by it to Metcash. Metcash may also provide notice of any variation of this Agreement by publishing the revised Metcash Trading Terms on its website and Metcash may (but is not obliged to) notify the Customer that it has done so on an invoice, Statement or order acknowledgement. or otherwise. The parties also contract out of each other provision of Part 4.3 of the PPSA, under sections 115(7) and 116(2), but only to the extent that the provision impose obligations on Metcash. 18.2 The Customer, Guarantor or Metcash will not disclose information of the kind mentioned in section 275(1) of the PPSA, unless required by law (other than section 275(1) of the PPSA). 19.1 Metcash may set off any amount owing by Metcash or any associated entity (as defined in the Corporations Act 2001) of Metcash Trading Limited from time to time (“Metcash Entity”) to the Customer (whether or not due for payment) against any Amount Payable. 19.2 clause 19 (including for payment of any amount owing by a Metcash Entity to the Customer). This clause 19 applies despite any other agreement between the Customer and a Metcash Entity. 19.3 If there are any amounts owing or due for payment by the Customer to a Metcash Entity (other than Metcash), the Customer authorises Metcash to pay all or part of any such amount to the relevant Metcash Entity in satisfaction of all or part of the Customer’s obligations. Any amount paid by Metcash will be automatically debited against the Customer’s Trading Account and will constitute a debt from the Customer to Metcash under this Agreement. If Metcash makes a payment to another Metcash Entity under this clause 19.3, it must provide written notice to the Customer within fourteen (14) days of any such payment. 19.4 The Customer acknowledges that the Metcash Entities have entered into, or will enter into, arrangements to effect and authorise the set-off arrangements contemplated by this clause 19. 19.5 The Guarantor consents to the arrangements set out in this clause 19 and acknowledges that the guarantee in clause 15 extends to any amounts payable by the Customer under this clause. 20.1 This clause 20 applies if and when the Customer purchases tobacco or liquor products (“Licensed Goods”) from Metcash. (b) it is not in breach of, nor has it had the terms of its, License revoked, varied or restricted and no condition has been imposed on the Licence which prohibits it from ordering, purchasing, selling or distributing the Licensed Goods in the conduct of its business. How long have you owned the business? Do you have a Customer Number? Are you applying for a liquor account? Are you applying for a tobacco account? Sole Trader Mobile Phone No. Guarantor 1 Private Phone No. Do you have a drivers license to provide? Guarantor 1 Drivers Licence No. Guarantor 2 Private Phone No. Guarantor 2 Drivers Licence No. Guarantor 3 Drivers Licence No. Guarantor 3 Private Phone No. Guarantor 4 Drivers Licence No. Guarantor 4 Private Phone No. Guarantor 5 Drivers Licence No. Guarantor 5 Private Phone No. Guarantor 6 Drivers Licence No. Guarantor 6 Private Phone No. Guarantor 7 Drivers Licence No. Guarantor 7 Private Phone No. Guarantor 8 Drivers Licence No. Guarantor 8 Private Phone No. Guarantor 9 Drivers Licence No. Guarantor 9 Private Phone No. Guarantor 10 Drivers Licence No. Guarantor 10 Private Phone No. Are there more Guarantors to enter? Please download a copy of the NATIONAL CREDIT CODE: DECLARATION OF PURPOSES FOR WHICH CREDIT PROVIDED & ACKNOWLEDGEMENT AND AUTHORITY PURSUANT TO THE PRIVACY ACT 1988(CTH), have it signed by the Customer and upload below. Please download a copy of the Executed as a Deed Poll, have it signed by the Customer and upload below. 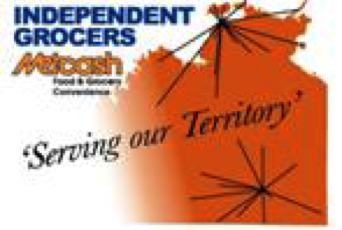 If you are applying as an IGA customer, please download and complete each of the below documents and upload below. If you are applying as an Friendly Grocer (SA) customer, please download and complete this document and upload below. If you are applying as a Foodland (SA) customer, please download and complete this document and upload below.